Gearing up to hit the road this summer? We want to make it even easier—and more affordable—to stay connected no matter where your travels take you. 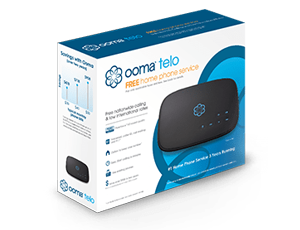 The Ooma Mobile HD app now offers free nationwide outbound calling for all Ooma customers. Just download the latest version. And, if you’re traveling overseas, you can avoid paying those expensive roaming charges by using Ooma prepaid international minutes or the unlimited Ooma World plan. Want to stay connected to home when you’re away? Upgrade to our Premier service for only $9.99 per month to add a host of features including unlimited outbound and inbound mobile calling. You’ll also be able to call cross-border (US to Canada, or Canada to US) for free. And, calls to your home phone can be sent to your mobile app – whether you’re out running errands or off on an epic road trip. Check out the Ooma Mobile HD app today. It’s available for free download in the iTunes App Store and Google Play store. Since the app works over Wi-Fi or data networks, you can even use it to turn your tablets and other mobile devices into free phones. Happy calling! We are going to central Europe soon and want to use the mobile app there. Can we make calls to European phones while we are in Europe? I downloaded your ooma app for my iPhone offering unlimited free outbound calls but when i try to call my son i get the message that my account balance is 0 and that i have to add money. I thought outbound local calls were free? Hi Leslie. Please call our Customer Support at 866.452.6662. Monday-Friday 5am-5pm PST, Saturday-Sunday 8am-5pm PST. They will be able to jump into your account and help answer any questions. Does this work with Windows mobile phones? It’s available for free download in the iTunes App Store and Google Play store. When will Ooma Mobile HD app be available for Windows Phone (8.1 and 10)? Hi Craig. For now it is only on Android and iOS. Will let you know if we expand to Windows Phones. I am using Ooma Mobile HD app with my iPhone 5c. Outgoing call are ok but I do not receive notification nor ringtone for an incoming call on the cell phone. Only on my landline. However my android phone works fine. What is the problem? Hi Stephen. Please call our Customer Support number at 866.452.6662. Monday-Friday 5am-5pm PST, Saturday-Sunday 8am-5pm PST. If you have Basic- you should be able to just receive outbound calls to your mobile app. If you have Premier then you should get both inbound and outbound calls. 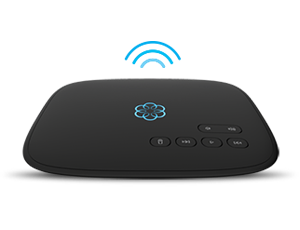 With the Ooma App, when I travel overseas, are my calls to the USA free (with basic service)? Or do I have to have an account balance and pay to make calls back to the USA? Please provide me any information for better understanding. Hi Jerry. If you download the mobile app and connect to wifi (overseas) you can make calls to the US for free with basic service. I have an HTC Rhyme cell phone and it appears to not be compatible with OOMA mobile. What kind of phone do I have to have? Hi Marie. Please call Customer Support at 1-888-711-6662 Monday-Friday 5am-5pm PST, Saturday-Sunday 8am-5pm PST and double check that your phone is compatible with the Telo. My “Prepaid Balance” was unexpectedly charged $10. It appears to have happened after using the mobile app to place a call. My VISA was charged $10. No fee was debited from the $10 – it just placed and amount there on its own. I have since disable the option to auto-refill that balance.